Wixom, MI — The 300 AAC Blackout cartridge has rapidly gained acceptance from the nation’s tactical, competition, hunting and personal defense communities. This extremely versatile cartridge is capable of providing both supersonic and subsonic velocities that result in vastly different performance characteristics. New for 2014, Trijicon has expanded its reticle offerings for the 300 Blackout in its most popular ACOG models, the 3.5×35 and 4×32. The 4×32 model will feature the Blackout reticle in both the tritium/fiber optic and LED versions. The new 300 Blackout reticles are equipped with merged aiming points that are optimized for simplicity and efficiency. The supersonic BDC (out to 600 yards) has been merged with the subsonic BDC (out to 200 yards) to provide one set of aiming points for both types of ammunition. These reticles allow users to instantly switch between supersonic and subsonic ammunition without having to re-zero the optic. 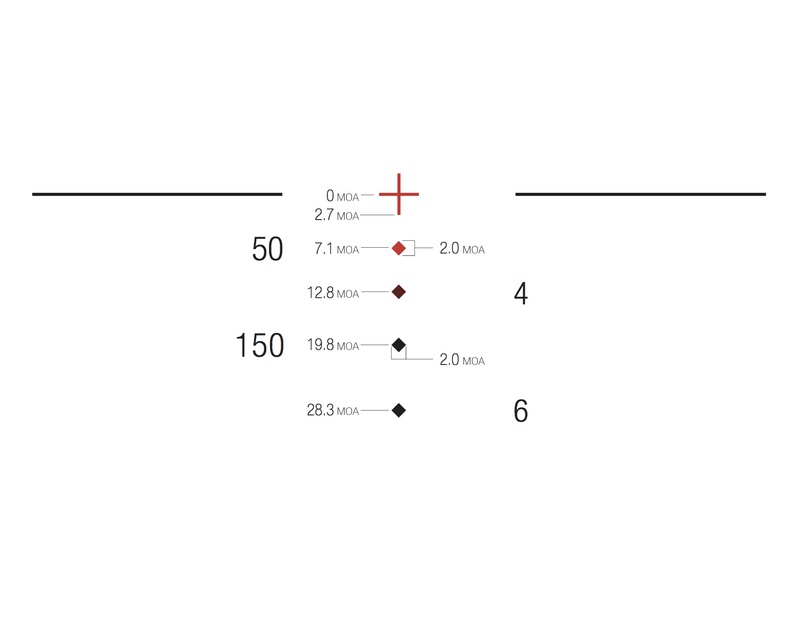 Additionally, these BDC reticles are not limited to one or two specific bullet weights; once properly zeroed, the majority of commonly available ammunition will fall within the 2 MOA diamond aiming point. Utilizing standard 16-inch barrel velocities, the 3.5×35 and 4×32 300 blackout models have drops designed to be calibrated with both supersonic (110gr – 125gr) and subsonic (174gr – 240gr) ammunition. Zero the scope with supersonic ammunition at 100 yards using the center of the crosshair. The bottom tip of the crosshair serves as the 200 yard supersonic aiming point. The ballistic drop compensator (BDC) diamonds represent the supersonic hold-overs for 300 yds, 400 yds, 500 yds and 600 yds. For more information on Trijicon’s new ACOG 3.5×35 and 4×32 with 300 Blackout reticles, and the complete array of Brilliant Aiming Solutions™ for the hunting, shooting, military and law enforcement markets, contact Trijicon, Inc. ® at (248) 960-7700 or visit www.trijicon.com.